Set in the quiet countryside of Rockingham County, Greensboro National Golf Club is the ideal neighborhood for living your dream lifestyle. Contact Us today for more information on building with us on Lot 7 at Greensboro National Club. 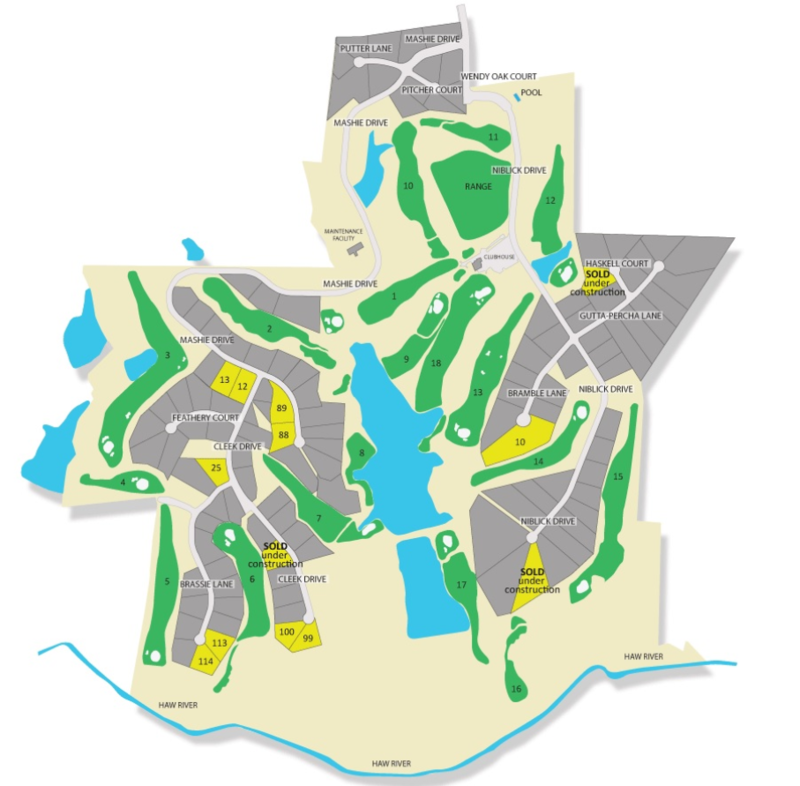 Interwoven among the scenic golf course are large, 1+ acre lots for custom built homes. If you are searching for a custom built Greensboro, NC home, this neighborhood offers an abundance of amenities surrounded by a beautiful landscape. Located in Summerfield, which is in Rockingham County, the golf community of Greensboro National Golf Club includes a pro shop, upscale restaurant and grill, as well as manicured chipping and putting areas. Take a dip in the shimmering club pool or spend the afternoon at the driving range. There are numerous social activities and neighborhood planned events for residents. If you love golf, you will love golf resort living. Owning a custom built home from Chris Clement Homebuilders in Greensboro will feel like you are living in a resort every day. Relax on your large deck or patio, overlooking the greens and the beautiful natural surroundings. There are many benefits to owning a home in a golf community. As a resident and golf club member, you will receive the best rates and ideal tee times. You will also be able to enjoy the outdoor pool and other clubhouse amenities. With beautiful lots to choose from, you can own the home of your dreams, custom built from the preferred home builder in Summerfield, Chris Clement Homebuilders. With dramatic architectural details and elegant, open floorplans, you will be more than comfortable enjoying your indoor and outdoor living spaces in this exceptional community. Craftsman style doors, ceiling fans, and lighting fixtures can be included in your home design to provide a timeless style. Enjoy many family gatherings in your customized kitchen or relax on a cozy front porch with friends. A Greensboro National Golf Club lifestyle brings the best of play and living to your daily routine, so you can experience your favorite hobbies and social activities in one community. If you would like to be close to Greensboro, and would enjoy a peaceful setting among a spectacular golf course, then Greensboro National Golf Club is the neighborhood for you. Our Greensboro, NC homes include modern materials and luxury features so you can enjoy resort-like amenities in your home. Contact Chris Clement Homebuilders today to learn more about building a custom home in this wonderful neighborhood.